Did you clothe those who were naked? Did you feed those who were hungry? Did you take care of the orphan and the widow? Did you love the unlovely? Did you bless those who cursed you? Did you resist repaying evil with evil? Did you make disciples of all nations baptizing them in the name of the Father, and the Son, and the Holy Spirit? Did you take up your cross and follow Christ daily? Did you lay down your life for your brethren? Do you love God with all your heart, with all your soul, and with all your mind? Did you love others more than yourself? What questions would you add to the list? Have you ever been guilty of getting hung up on the questions God probably won’t ask? Right on the money, Nicole! Sometimes I need to remind myself this. Me too, friend. I wrote it just as much for me as anyone else. Thanks for sharing your new site too. I checked it out. What a great ministry idea! Man, Christians are always so behind when it comes to technology. We definitely need to harness the power of social media to share the Good News. Praying that God uses your site tremendously to impact His Kingdom. Yes! I loved this post, Nicole. Such an encouragement to think of what things matter. And whether or not I voted for this person, like this church leader, believe in homeschooling or whatever does not. What do I think of Jesus and what will I do about it? What do we think of Jesus and what will we do about it? Those 2 simple questions are so powerful. It’s not enough for us to say we love Him. His love should compel us to love others in extraordinary ways. You have a very neat website! Keep up the great work! Thanks Brandon! I appreciate that. Checked out your blog too. Good stuff. Keep it uo. Great perspective. Especially after I had a pretty bad week last week. Your list is pretty comprehensive. I don’t even know what being an open theist or classical theist means. Is it something I should look up ;-)? He won’t ask you how many Bible verses you memorized or how many church camps/ retreats you attended. He might ask you if His grace was sufficient for you in all circumstances. He might ask you how you humbled yourself to Him and others to demonstrate His glory. I think the biggest area I have had problems has been in the political arena, mainly because because of the pro-life issue. However, God has even been changing me in that area and showing me that “there is no one righteous, no not even one political party…” :-). Of course, to do it, he led me to a wonderful group of people who are mostly on the other side of the political spectrum. He sure does have a sense of humor. I am with you, on the truly important things, I have far to go. I love your additions to the list. The Bible verses being memorized is a big one I think. It seems that some Christians think quantity relates to quality. Sure, it helps to know God’s Word. It’s vital even, but applying His Word is just as (if not more) important. Sorry to hear you had a rough week, but remember, as you pointed out, His grace is sufficient. ;) Blessings. Ah- this is such a breath of fresh air compared to some of the posts I have read about facing God. Great post! But I know I won’t even care because I will be in the presence of my Lord. Aadel, ain’t that the truth. We probably won’t care about much. it’s still fun (and a bit scary) to imagine. I heard a youth pastor say once that when we do stand before God, whatever judgement He hands down, we will know it is exactly what we deserve. oh, my, Nicole, I love, LOVE this post!! I’ve had one of the toughest months of my life, and this post truly speaks to me in so many ways. Thanks! Thanks Heather. Gosh, it seems that people are echoing the same thing (myself included). I had a hard couple of weeks and this post was encouraging to me as I wrote it. I feel refocused, reinvigorated…Anyway, I’m blessed to know it encouraged you. Moe, that’s funny and point well taken. We do make some foolish decisions that have nothing to do with our spiritual health, but somehow affect it. As for my teeth–they’re gone at age 16. But I only had 2 in my skull. Weird huh? So I only had the upper two (the easier ones) removed. I love that verse in Peter. Such a good reminder and such a good post. Thanks! Thanks Joy! I was actually stalking your awesome blog yesterday. I always love it. Thanks so much for stopping by! Stellar!!! I major on the minors all the time. 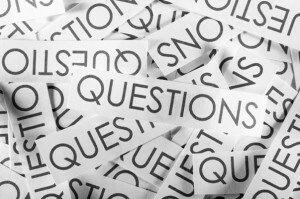 I need to corral my priorities and your list of questions is a great place to start. Thank you for the encouragement. And yes, it’s so easy to get distracted. Lets focus on what really matters. or fulfilling duties we forget others. must learn how to speak the same language. relationships, not just the Jesus of principles. I’ve been thinking about dying lately. I just read Tuesdays with Morrie, which isn’t a strictly Christian book, but which has changed my life nonetheless. It just hit me yesterday how incredibly short and insignificant my life will be. I was doing homework, listening to music (which I am very fanatic about), and I suddenly realized how incredibly fleeting and unimportant all of the things I focus on are. Achievement won’t get me anywhere. I realized that I had to 1) get more right with God and 2) start living like I could die anytime. Because I could. One quote I particularly liked in the book was from Gandhi. No, I know he’s not a Christian, but I’m a firm believer in the fact that Christians don’t get all of God’s grace. I’m only paraphrasing, but it said something to the effect of, “Each evening when I go to sleep, I die, and when I wake up, I am reborn.” That sounds really strange, but what a wonderful way that would be to live. You would live each day completely, and you would have to come to peace with God, yourself, and others, every single day before you went to bed. There would be no more worrying or chasing after unimportant things, no more insane busy days or worrying about achievement. Just living through Christ. Still… you have to have an accurate view of who Jesus is to make true disciples of him. Theology is important and getting truth right is important. He is looking for people who worship in spirit AND truth. I agreed that yes, He is looking for people to worship in Spirit and truth–a verse I personal quote and refer to almost daily. However, I do not think Jesus is concerned with the theological labels and titles that we give to things. I also don’t think that if I believe the world is 10,000 years old but it’s actually only 4,000 years old, Jesus is going to say “Sorry Nicole, you’re 6,000 years off…no entrance to heaven.” And yet these are the minor details (and I do believe they are minor) that so many of us get hung up on instead of loving the Lord with all our heart, soul, and strength and loving others as ourselves. And the end of the day…and in the end days, I think much of what we have spent energy on will be burned up and that which remains will surprise us. Thanks for the comment Peter and for adding to the discussion. Blessings. All I do know is that if God asks us a question…we better get it right. He already knows the answer and he will not tolerate deceit as we have seen throughout his word. Another good article. Amen. Previous Previous post: Is Your Insecurity Causing You to Sin?